A body, face, and hair wash in one. Olivos is proud to offer you gift of nature, 100% pure olive oil, as one of its best to treat your skin and nourish it at its best. It is source of vitamin due to the rich content of olive oil with A, E, D and K vitamins. Smoothes the skin. Gives volume and shine to your to the hair. Good for the dark spots and blemishes on the skin. Used in cellulite treatment. Effiecient in eczema, itching and fungal infection treatments. For ages, olive oil is well known for its skin softening properties. It can be used on body, face, and hair. 100% extra virgin olive oil, as one of its best to treat your skin and nourish at its best. The lavender herb prevents hair loss when penetrates hair follicles. Lavender soap is a ‘must-have’ for stressful lives for its effective relaxing & refreshing features. 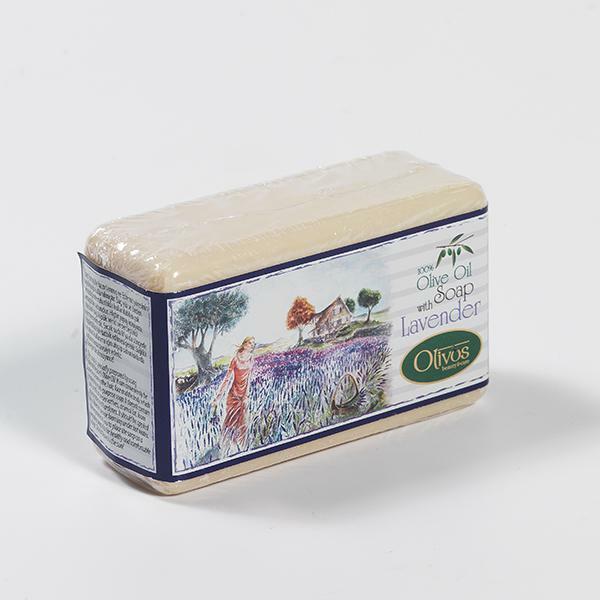 Olive oil soap with lavender nourishes your skin with real lavender pieces inside. It can be used on body, face, and hair. It helps treating skin disorders such as acne, burns, dry skin, eczema, itchy skin naturally. 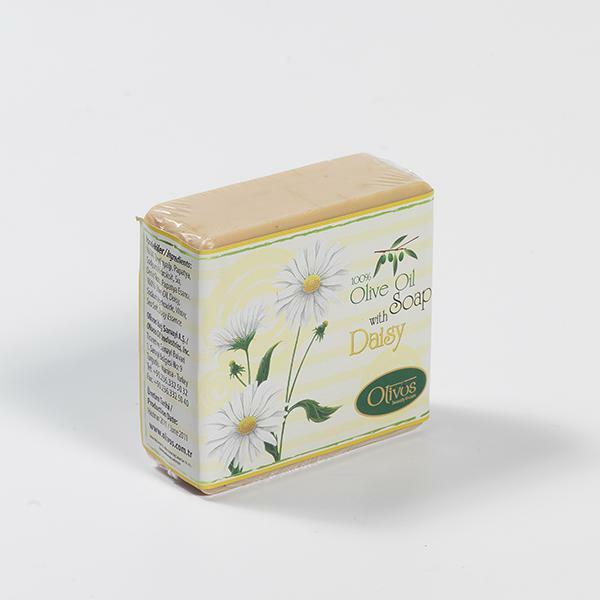 Olivos Herbs & Fruits series Daisy soap bar is very rich in vitamins and daisy pieces. Speeding up the activity of hair cells, it maintains hair to extend healthier and abundant. It prevents skin rashes. This natural soap is a must-have for stressful lives, thanks to its daisy and 100% extra virgin olive oil ingredients that refresh you every single bath you take. Olivos Herbs & Fruits series Daisy soap effectively removes impurities, bacteria and excess oils preventing the formation of blackheads, and any other skin disorders actively. It can be used on body, face, and hair.